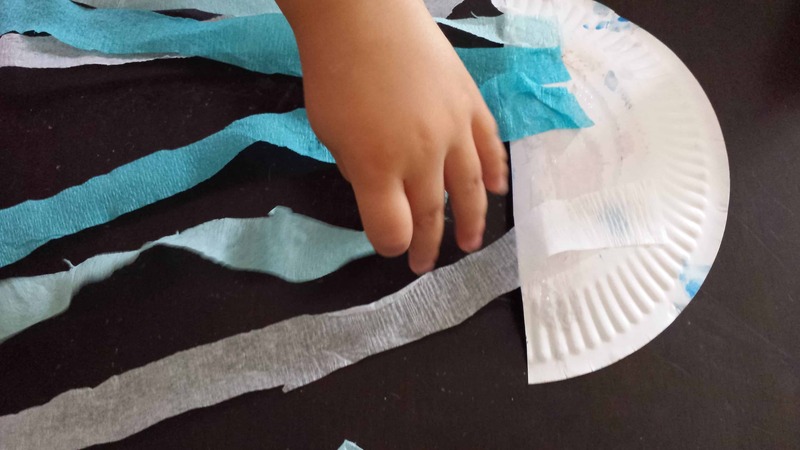 This month we are focusing on an ‘Under Water’ or ‘Ocean’ theme for our toddler activities. We started the month by reading some of our favorite Under Water books and for our craft activity today we made jellyfish using paper plates and crepe paper. We are going to use them as decorations for my daughters Octonauts themed birthday party at the end of the month, but they look great stuck on a wall or hanging up in a bedroom. If you work in a day care or early childhood setting, they look really good hanging from some netting on the ceiling. 3.Paint over the crayons or pastels. 4. 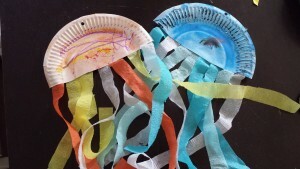 Cut the crepe paper into thin strips (I used thick crepe paper cut in half. 5. 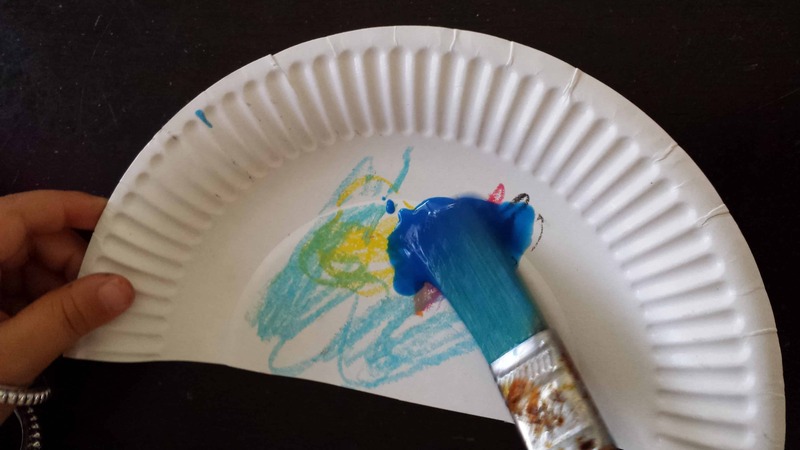 Glue the crepe paper onto the back of the plate. 6. Punch a hole in the top and hang up! Thanks Catherine. I LOVE that book! Loving your blog as well – it’s great! They look great! 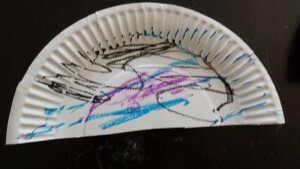 What a lovely fun idea. These are really cute! A lovely idea for an ocean theme. Thanks Alex. These are lots of fun! 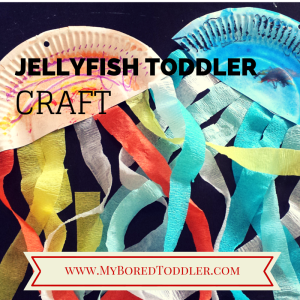 These look cute, and are just perfect for a toddler to do!